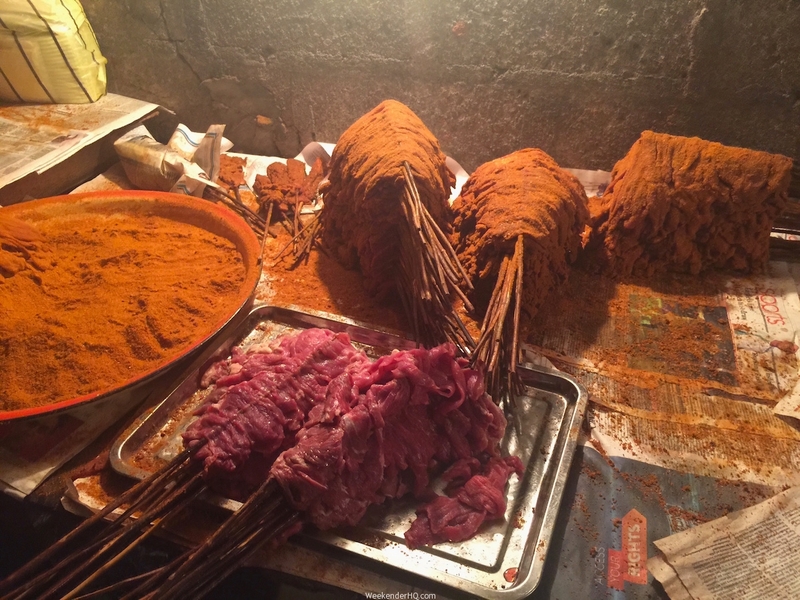 Suya is one of the most popular street foods in Lagos. Beef Suya could be likened to a spicy shish kebab but it is the suya spice, a complex mixture of different spices and additives that makes all the difference! 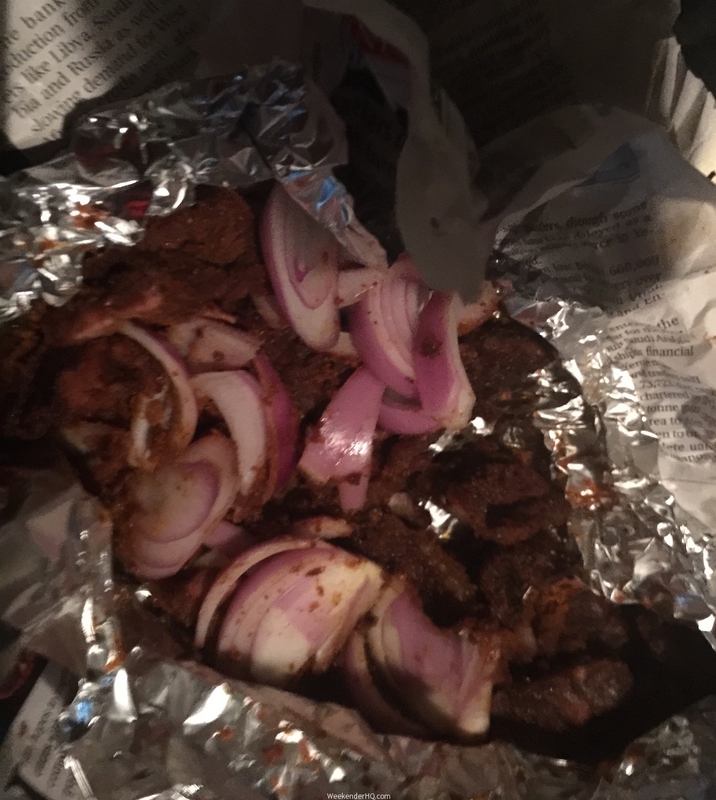 Suya could be beef, ram, chicken, turkey or innards such as kidney, liver and tripe. The Suya at Glover Court is simply a must try when on Lagos Island. Why? Glover Court is actually the street where the open air busy joint is located. 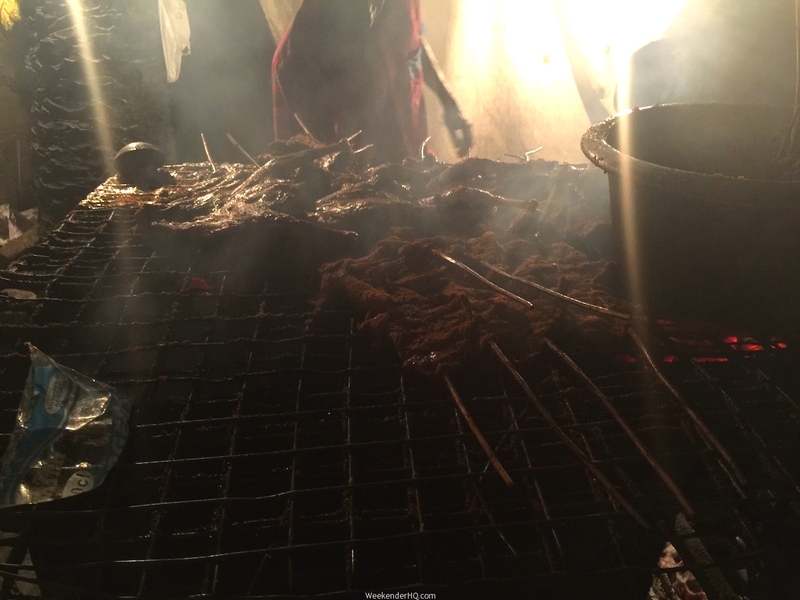 Hundreds of people convene daily to buy suya and it has been open for over 20 years! When I visited, I was pleasantly welcomed by the smoke and the aroma of flame grilled suya meat. At first, I was a little bit confused about how to make an order as there was a crowd of people standing around the grill points, this gave me time to observe as the men prepared the suya. I watched as they peppered the raw meat and then placed it on the grills with the occasional dip in oil, I assume to keep the meat moist. I ordered 1 Beef suya stick and 1 Tozo (Similar to plain beef but fatty) costing N500 per stick and I must say it had just the right tenderness, moisture and flavor, easily the best suya I have had in years! Have had the Glover Court Suya before? What did you think?